The Ridalls take their children to the General Pediatric Clinic at Penn State Children's Hospital, where Dr. Ian Paul is chief of the division of academic general pediatrics. Paul says things can get even more complicated with certain medications because sometimes the markings on the dosing device don't match the instructions on the label. That's why, when he prescribes medicine, he verbally repeats the size of the dose several times, often asking the parent to repeat it back to him. In May 2018, CHPA published findings of its nationwide online survey of about 1,400 parents of children ages 4 to 6. According to Brikman, "We wanted to know how parents perceive the importance of safe dosing." Take extra care with the youngest patients. Paul says the most common medication given to children age 2 and under is acetaminophen, which is recommended for fever and pain for all children over age 3 months. It's generally accepted as safe and effective at prescribed doses. Yet the label does not indicate a specific dose for children under 2 years old. And a spokesperson for Johnson and Johnson, the makers of Tylenol, reports in an email that the company officials "have strongly urged the FDA to allow the addition of dosing directions for children under 2 years of age on the OTC label of pediatric acetaminophen medicines." We are in the midst of cold and flu season, when parents give their kids medication and often struggle to get the dosage right. NPR's Patti Neighmond reports. PATTI NEIGHMOND, BYLINE: The Ridall family lives in Palmyra, Pa., and take their children to the pediatric clinic at Penn State's Children's Hospital. Today, 5-year-old Flynn is here to see Dr. Jennifer Miller. JENNIFER MILLER: Are you here for a checkup today? MILLER: Yeah? We're going to have fun. NEIGHMOND: This is a well-child visit, so Flynn's healthy today. But when he gets sick, his dad Jesse says that the devices for measuring medication can be confusing, often listing dose in both teaspoons and milliliters. JESSE RIDALL: If you're not careful, you go to read it, and you're reading the wrong one. NEIGHMOND: And sometimes, when the lines on the measuring device indicating teaspoon or milliliter are close together, it can be nearly impossible. RIDALL: I know there was a couple times where I had to - before I gave it to him I caught it, and had to go back and take some out of the syringe because it was too much 'cause I was looking at the wrong side. NEIGHMOND: Many parents aren't as vigilant as Jesse Ridall. The Consumer Healthcare Products Association, which represents manufacturers of over-the-counter medicine, recently surveyed 1,400 parents of young kids. Association official Anita Brikman. ANITA BRIKMAN: Nearly 1 in 4 parents of young children told us they don't believe OTC, or over-the-counter medicines, are strong enough to require precise dosing. NEIGHMOND: Not true, she says. Over-the-counter medicines are real medicines, and too much can cause side effects. BRIKMAN: The scary thing is that, sometimes, those symptoms can be very similar to what you might experience from the illness itself, such as sleepiness or lethargy. NEIGHMOND: An overdose of certain medications can also cause liver damage, hallucinations, facial flushing and a fast heartbeat. Some medicines contain the same ingredients. So Brikman says it's important parents read the label carefully to make sure they're not doubling up. And never, she says, use a household spoon to measure liquid medication. BRIKMAN: The household spoon can come in all shapes and sizes. It is not an accurate dosing device for medicine. You should always use the dosing device that comes with the medicine that you've purchased, whether that's a syringe or a dosing cup. NEIGHMOND: For the most accurate dosing, the syringe is the gold standard, says pediatrician Ian Paul with Penn State College of Medicine. If medication comes with a dosing cup, you can ask the pharmacist for a syringe. And always, he says, double check your measurement. IAN PAUL: When I prescribe a medication for children, I state the dose several times to parents as I'm prescribing it. And, ideally, I would ask them to repeat back to me what the dose is. NEIGHMOND: Milliliters are the most precise measure of medication, says Paul. 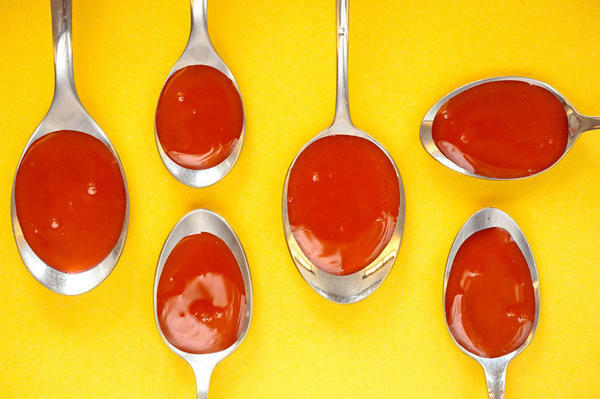 Companies aren't legally required to list the dose in milliliters, but industry officials say most manufacturers are switching from teaspoons to milliliters. And if you're confused about exactly what the dose should be, Paul says contact your health care provider. Patti Neighmond, NPR News. (SOUNDBITE OF THE ALBUM LEAF'S "BETWEEN WAVES") Transcript provided by NPR, Copyright NPR.